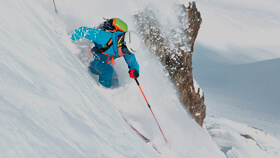 Our Iconic Products represent the epitome of Dynafit product development. In each of them, our core values of speed, lightness, endurance and technology are particularly apparent. They will make you better and even faster on the mountain. Iconic products are innovative, they utilize the newest technologies, and they combine minimalism and efficiency. They also set new standards within the industry. They will be a significant factor in taking alpine endurance sport to the next level. In the heat of competition, there is no time for compromises. The RC U Race Suit is built to perform at 100% when hundredths of a second matter. The tough, abrasion-resistant S-Tech construction means that the suit fits you like a second skin. Thanks to the minimal-seam technology, friction on your skin and pressure points are a thing of the past. No matter how intense your movements, the suit will not restrict you - in fact, it provides support in several ways. Strategic body mapping – that’s what variable knit densities are called – ensure ventilation and perfect temperature regulation in different zones. Then, in the zones around your arms, shoulders and thighs, the suit provides additional support in the form of compression. This stabilizes your muscles and enhances blood circulation. Lightweight, breathable and supportive – the RC U Racesuit is my choice for a successful competition. * With the 4-way stretch, the shirt stretches in every direction without losing its shape. The P49 is designed for competitive alpine ski mountaineering and is therefore only compatible with our lightest competition ski boot, the Pierre Gignoux DNA Pintech. In the race every second counts! With the P49 I am one step ahead of my competitors. Fast, faster, P49! 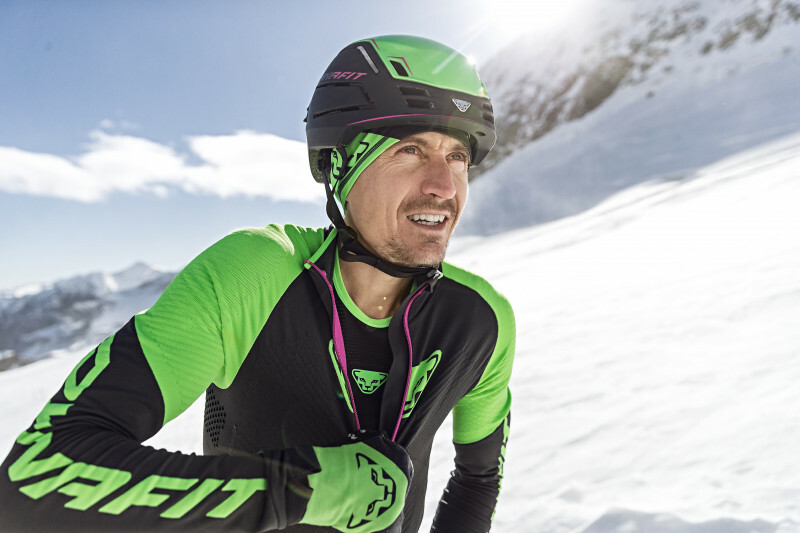 The new Pintech binding is set to revolutionize the skimo market. Why? In this innovative boot-binding-system, the pins are integrated into the touring boot, and not - as previously the case - in the binding. What advantages does the new system bring? Athletes equipped with the P49 save even more weight. Compared with the DNA binding, previously the lightest binding available, the overall weight has been reduced by 21% to an unbelievable 49 grams. In addition to this significant weight reduction, racers can switch more quickly from uphill to downhill mode. A single, simple hand movement, and the binding releases, allowing the skier to pick up the ski easily and reliably. No more time-consuming mistakes.